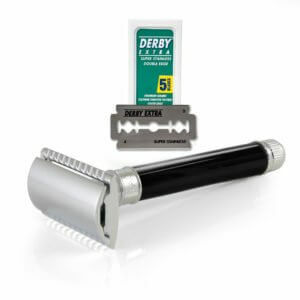 This razor is reminiscent of the original DE razor introduced in 1904. Many prefer the vintage styling of the handle and some find that it provides a better surface to grip than the standard. 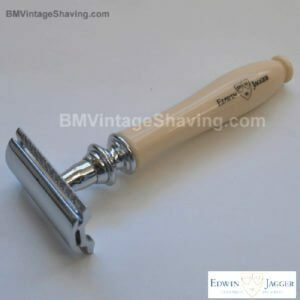 This Merkur # 42 “1904 Classic” Safety Razor is 3.25 inches long, 1.75 oz in weight, has a nickel-plated finish with a faceted handle that offers a non-slip grip. 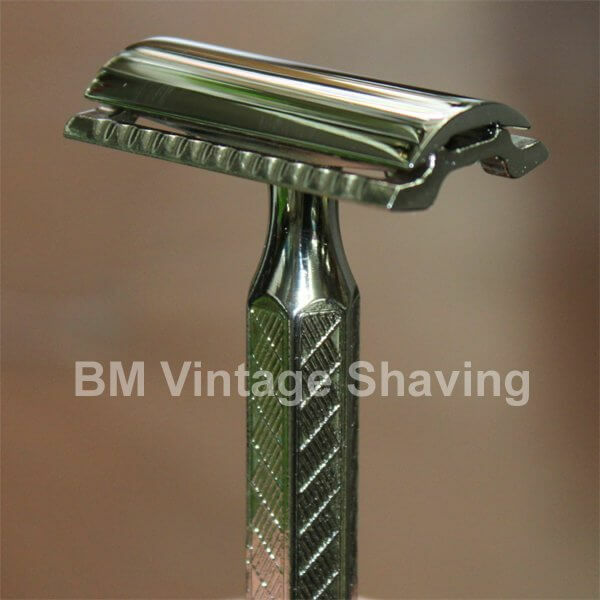 This razor is reminiscent of the original DE razor introduced in 1904. Many prefer the vintage styling of the handle and some find that it provides a better surface to grip than the standard. 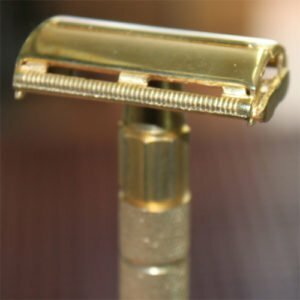 Three part razor which is light and gives good control. It has small head to get in to those tight places like under the nose. It is packaged with one Merkur Super Stainless, Platinum coated blade. Additional packs of 10 sold separately. 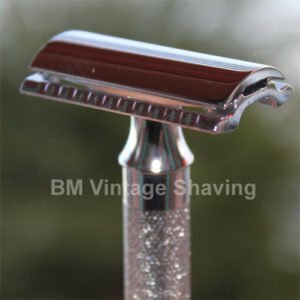 This Merkur Safety Razor is styled on the original razor patented by King Camp Gillette in 1904. 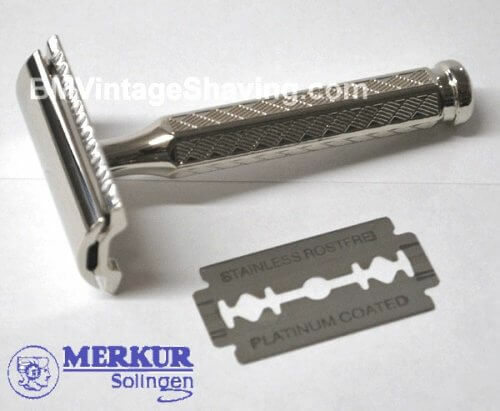 Imported directly from Merkur of Solingen, Germany.